My grandparents had four sons and one daughter: my mother. My grandmother’s favourite son was her eldest. He was always smiling, had a sweet word for everyone and sent my grandmother photos from faraway England with lines of Tamil poetry as captions. Her third son lived in the same town as she did. He was the one she called when she needed to go to the doctor, have a piece of furniture moved, or speak to her tenants about rent increases. He was her SOS and showed up when needed. He was not, however, her favourite. Perhaps this was partly because they dealt with each other too much. Mostly, it had to do with his volatile temperament. “He will do everything but with one shouted angry word, he will spoil the whole effect,” my grandmother would say. Temperament and competence have often been framed as a dichotomy – in life and work. The nice guys aren’t competent and the screamers climb up the corporate ladder. It is a stretch I know, but political parties too have this dichotomy. 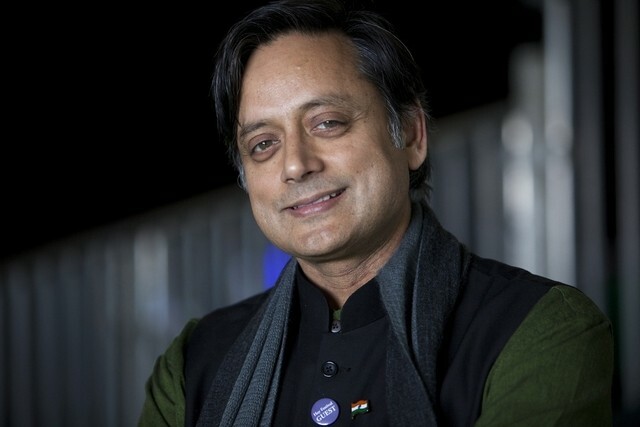 The “ethos” of the Congress, as Shashi Tharoor described it during a television interview, versus the efficiency of the current BJP-led government. This dichotomy becomes even more stark when it comes to women. Most people expect women to be nice, not brusque; competent, but caring; tough, but compassionate. How does a woman balance or even acquire all these qualities? Competence is a given in most top jobs. To climb up the ranks and run a company requires certain characteristics: perfectionism, efficiency, vision, creativity and courage. Women in top roles must have all these qualities. What brings them down however, is temperament, according to the many articles on the subject. What is the way forward? Do you tell women to be as good, or as bad as any man; to seek equality and justice at all times during their professional career? Or do you tell them to play up the strengths that anthropologist Helen Fisher describes in her book, The natural talents of women and how they are changing the world? According to Ms Fisher, women have the ability to build consensus, empathise and nurture relationships. Not all women are this way and these qualities aren’t the sole prerogative of women. Still, as stereotypes go, these ones hold water and, I might add, cause problems. We expect women to cooperate so, we find the pushy ones jarring. We expect empathy from women, so we can’t stand the ones that are abrupt. Many companies – and Google is one of these – insist that their employees undergo gender sensitivity training. Words are flashed rapidly on a computer screen and you have to pick whether they are “male” or “female” qualities. The results are shocking. One way to approach this thorny issue is tangentially. Instead of playing by the same rules, why not change the rules; change the paradigm? Why not win over the workplace through kindness and courtesy – heretical and silly as that might sound? Again, I know that these traits aren’t exclusive to women, but it is also true that men are far more comfortable being aggressive, even sometimes obnoxious. So far, we women have assumed that imitation is the only way to enter a man’s world and be like them. Perhaps the time has come for women to stay true to themselves – at home and at work. Some of these seem to be the same tired misconceptions – men having confidence and aggression and women being caring and empathetic etc etc. Let me assure you, that after having gone to a top US B-school and working in a fairly competitive consulting environment, that a lot of these things have changed quite a lot. Even “Lean In” has become passe. The real issue (which I think Naina once wrote about – where is she anyway these days?) is that women are still greatly troubled by the question of balance. It is this question – how do I balance career and family and everything else – that ranks higher than other things. Many women forgo promotions and plum assignments, not because it is a harder job (they are all up to work hard, even with competitive and aggressive men and all that), but because they are not able to handle the toll on their family life. Workplaces have to do much better to find good help at home and, where necessary, more support (childcare, family assistance etc) so women can focus on the real issues. I agree completely with you on this particularly the “toll on family life” bit. I don’t know what will drive the solution though.